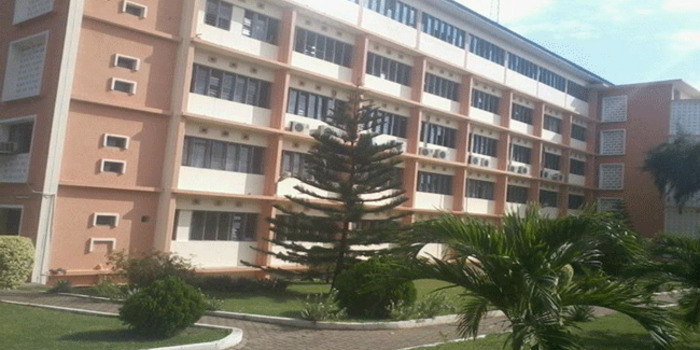 KIITEE Law 2019 – Kalinga Institute of Industrial Technology has released the KIITEE law 201 9 admit card as it has opened the link for KIITEE law 2019 slot booking. The university had also extended the last date to submit the application form of KIITEE Law 2019 till April 10, 2019. The university will conduct KIITEE Law 2019 for admissions into the undergraduate law programme including BA LLB, BBA LLB and B.Sc LLB from April 17-20, 2019. KIIT University will conduct its entrance exam for undergraduate law admissions in online mode. Candidates who wish to appear in KIITEE Law 2019 could fill the application form of KIITEE Law 2019 announced on November 16, 2018 till April 10, 2019. The university will offer a total of 240 seats to law aspirants (80 each in the three programmes – BA LLB, BBA LLB and B.Sc LLB) to the candidates who appear in the university level law examination. Moreover, candidates did not have to pay any application fee as the KIITEE Law 2019 Application form will be available free of cost. To seek admissions in the law programmes namely, BA LLB, BBA LLB and B.Sc LLB candidates will be required to appear in KIITEE Law 2019 and qualify it. For detailed information on admission procedure, application form availability, admit card, examination and results, candidates need to read the information-enriched article of KIITEE Law given below. It should be noted that the facts and figures in this article are as per the official brochure announced by the university. KIITEE Law admit card available and slot booking link active now; click here to download your admit card. Candidates seeking admission into the undergraduate law programmes need to appear in KIITEE Law 2019. Kalinga Institute of of Industrial Technology has begun its admission process with the announcement of the notification for the law entrance examination. As the KIITEE Law notification has been announced, candidates had to fill the KIITEE Law Application Form after reading and understanding the eligibility criteria laid down by the university. Followed by the application form announcement, the university has issued the admit cards for the candidates to appear in the examination. After the conduct of KIITEE Law 2019, the university will announce the results followed by the counseling procedure. Candidates appearing in KIITEE Law 2019 need to take a glance on the important dates of KIITEE Law 2019 as given below to stay updated on the events related to the law examination. Aspirants of KIITEE Law 2019 are advised to read and understand the eligibility criteria of KIITEE Law 2019 before filling up the application form of KIITEE Law 2019. A candidate appearing in KIITEE Law 2019 needs to be qualify 10+2 examination with atleast 45% marks in aggregate of the subjects. There is no age bar to appear in KIITEE Law 2019 as per Supreme courts stay on age bar in 2017. Kalinga Institute of of Industrial Technology had announced the application form of KIITEE Law 2019 on November 16, 2018. Candidates could get access of the KIITEE Law 2019 Application Form in both online mode. Moreover, the university did not charge any fee for the KIITEE Law Application Form 2019. Aspirants filling up the application form of KIITEE Law 2019 in online mode were required to fill the form, submit it and take print out for future references. KIITEE Law 2019 will be conducted in as many as 63 centres across India. Candidates will be given an opportunity to choose three centres as per their choice and proximity. Out of the available centres, the university will allot one to the candidate. Moreover, candidates will get complete information on the admit card of KIITEE Law 2019. Candidates can now get access of the admit card of KIITEE Law 2019 while they book their slot. Kalinga Institute of Industrial Technology (KIIT) has announced the KIITEE 2019 Admit card in online mode. KIITEE Law Admit card 2019 will have some of the important mentions like the candidate’s name, father’s name, registration number, signature, date of examination, venue of examination, date of birth, category applied, course applied for and other important details to look for. Candidates are advised to check all the details and then download the same. Kalinga Institute of Industrial Technology has announced the exam pattern of KIITEE Law 2019 on November 16, 2018 along with the issue of notification. With the KIITEE Law 2019 Exam Pattern, candidates will get an overview of the overall examination. KIITEE Law Exam Pattern 2019 will include the questions to come in the examination, total marks, marking scheme, pattern and topics to be included in the law examination. KIIT University will announce the result of KIITEE Law 2019 on April 30, 2019. Candidates will get to know their qualifying status and marks in the KIITEE Law 2019 Result. On the basis of the marks acquired, candidates will be given admissions into the undergraduate law programmes. Candidates will get the merit list of KIITEE Law 2019 just after the declaration of the result of KIITEE Law 2019. The merit list of KIITEE Law 2019 will mention name, roll number, marks and category rank and section-wise marks of candidates who have secured minimum passing marks. After the declaration of the result and merit list of KIITEE Law 2019, KIIT University will release the cutoff of KIITEE Law 2019. Candidates who will score according to the KIITEE Law 2019 Cutoff will be called for the counseling and seat allotment procedure. Kalinga Institute of Industrial Technology will conduct the counseling of KIITEE Law 2019 from May 15, 2019. KIIT University will conduct the KIITEE Law 2019 Counselling in both offline and online mode however, candidates need to register themselves through their regsitered accounts in online mode. As a part of the counselling procedure, candidates will be alloted seats after the verification of documents namely, KIITEE Law Admit card, KIITEE Law Rank card, 10th and 12th marksheet, admit card of 10th and 12th and two passport size photograph along with the demand draft of Rs 75000 in favour of KIITEE Bhubaneshwar as a counselling fee.